A loan of $1,575 helped a member to buy shoes, sandals, polythene bags, and local soap for resale. 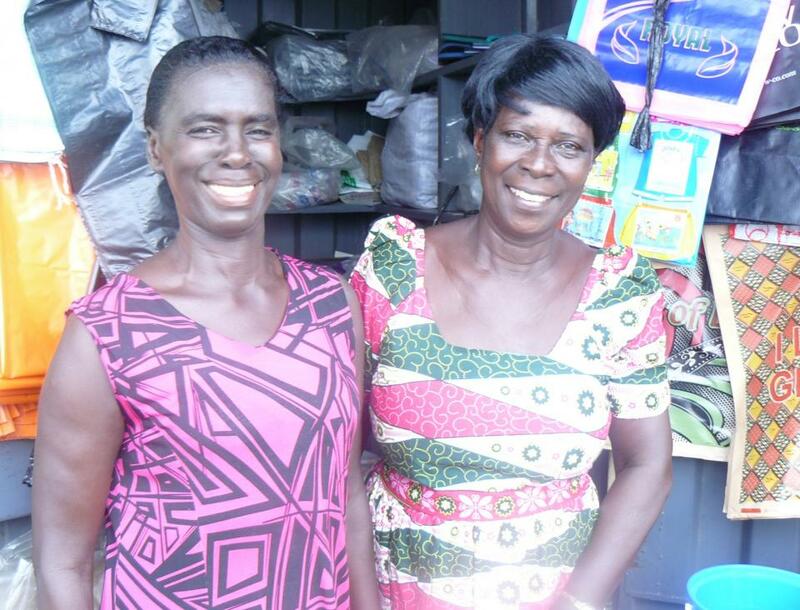 Juliana (left in the picture) used her just-ended previous loan to buy shoes, sandals, and polythene bags for resale. Juliana paid all her repayment installments well. She used the profit to pay her child's school fees and other household expenses. Juliana needs additional working capital support to enable her to buy shoes, sandals, polythene bags, and local soap (produced by women groups) for resale. This will enable Juliana to increase her sales to save some money to support her husband, cater for her family, and re-invest the rest into the business. By funding Juliana's loan, you are assisting to create a market for women groups in local soap manufacturing. Juliana thanks all her Kiva lenders for their kind support. It enables low-income Ghanaian entrepreneurs to generate monthly cash flows. The loan is designed to help low-income entrepreneurs located in Ghana. The loans will be used to finance a wide range of business activities that generate monthly cash flows. Entrepreneurs will use Kiva funds to finance their working capital, business inputs as well as asset finance. By supporting this loan, you’ll be enabling the borrowers to grow their businesses and improve their livelihoods. ASA Initiative is a Micro Finance Institution based in Cape Coast, Ghana, and operating in the Central Region of Ghana. They target loan products to several sectors, with the majority of loans classified as general small business loans. They have also added a mixture of higher-impact and higher-risk loans that could be expanded through Kiva funding, including green loans and agriculture loans. Kiva supports ASA Initiative’s goal to expand green loans for clean cook stoves and agriculture loans for farmers in need of support and connections to market. Clean cook stoves reduce indoor pollution and improve family health.